Stuckylife |: Where Are You Go? 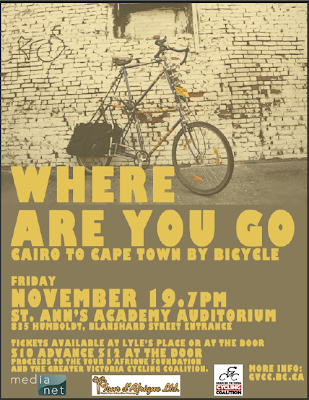 Our good friend, Adele, will soon be embarking upon a new adventure leading a bicycle tour from Cairo to Cape Town. 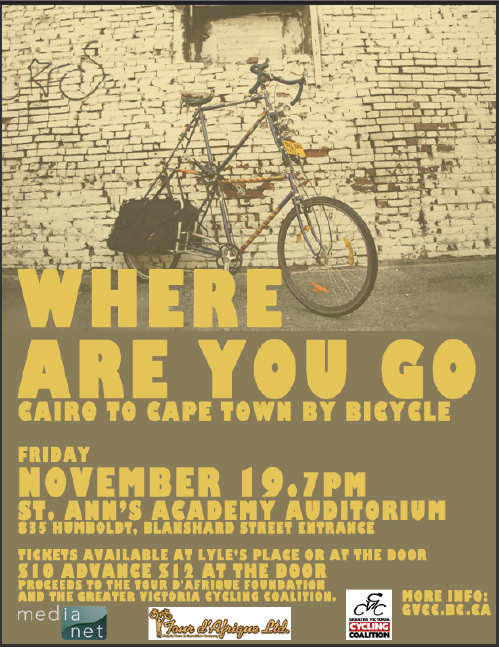 Two of her friends, who did the tour a couple years ago, are premiering a film documenting their adventures. Come check out what she's in for at 7pm on Friday, Nov. 19th at St. Ann's Academy auditorium (835 Humboldt St., Blanshard St. entrance).